We have no “members” or “dues”, as such. However, we do have expenses, such as rent, utilities, insurance and printing costs. WALKABOUT INTERNATIONAL depends in part on your generous spirit to fund our yearly operating costs as we conduct hundreds of free walks in and around the San Diego area. WALKABOUT INTERNATIONAL values you and your participation what ever the type or level. Your support of WALKABOUT’s by leading walks, helping out at the office, participating in events or donating funds lets us sustain and spread the WALKABOUT spirit! You are the heart and “soles” of a unique, all-volunteer, nonprofit organization – that feels more like an extended family – as it raises walking far above a pedestrian pursuit. One important way to support WALKABOUT INTERNATIONAL is through your thoughtful, completely tax-deductible (ID #95-3643505) donation. 2. To DONATE USING A CREDIT CARD, DEBIT CARD, OR PAYPAL ACCOUNT select on Donate and follow PayPal’s directions. Below are facilities for both new and/or renewing subscribers A physical Newsletter can be mailed to your home each month or a PDF version can be emailed to you each month. Basic Newsletter ($20.00 level subscription) provides for either the PDF or Mail version while all other subscription levels offer the option of obtaining either or both Newsletter versions. PDF only version at all levels are completely tax deductible(ID#95-3643505). Subscriptions at and above the $25 level include our buy-one, get-one-free (PDF only) deal whether you are a new or renewing subscriber. 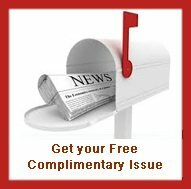 This allows you to give a one year Newsletter subscription, PDF version only, to anyone who has never been a WALKABOUT subscriber. Select on Get One Free, then fill out and send the form, then return here to select your payment option(s). For our members who prefer to subscribe via Credit Card, Debit Card or PayPal. Make sure that you carefully consider each option via the dropdown arrows, then select your option(s) and complete the entire form as you will not be able to edit any information once you have selected the “Pay Now” button. Debit or credit card users make sure that you select on the blue Icon shown here after being directed to the PayPal page. * Must be completed for a valid subscription. PayPal Account Users:Be sure to include your phone number and fill out the PayPal shipping address box if different from your PayPal account address.